Here are my answers to Friday’s Food Quiz Number 18. I am in Scotland and will return to South Africa on the 8th of May – I will reply to blog comments then. This quiz post has been scheduled in advance. 1. Where did the yule log originate from? an edible sea mollusc commonly known in South Africa as Perlemoen. 4. 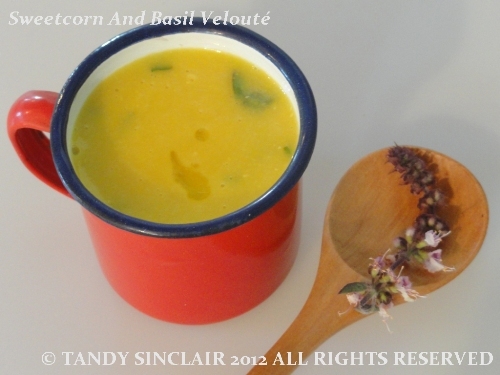 What is the difference between a velouté and a béchamel sauce? 5. Which bone is specifically used in flavouring soups? 6. What would you be eating if you ordered tori udon in a Japanese Restaurant? we had udon noodles for supper last night, but have no idea what tori is. 7. Is Feta a matured cheese? 8. What is so special about Darjeeling tea? 9. What is another name for the tree tomato? 10. Why is it advisable not to boil gelatine? 11. Which pastry cream, flavoured with ground almonds, is used to fill or top pastries and cakes? 12. Besides giving a professional finish, what else does a glaze do to a fruit flan? 13. What is another name for a hero sandwich? 14. What is a kipper? a herring that has been salted and smoked and eaten for breakfast! 15. What do we call Italian potato and semolina dumplings? I hope you have fun exploring Scotland, my friend! This quiz was a really good one! 🙂 Learned a lot! Hi, Tandi, enjoying your trip? I looked up tori udon and The Mousse had a spot on: http://www.foodbuzz.com/recipes/743848-tori-udon-japanese-chicken-noodle- . Your Friday food quiz is one of the highlights of my week, thanks for sharing. “Tori” is bird, so I’m guessing there was chicken in you udon? “Tori” could also mean “in the heart”. Have a wonderful trip!! Now I know what a veloute is.. I think I’ve read it recently but, sigh, keep forgetting!! Great quiz yet again and hope you are enjoying Scotland!